For photographers who use Adobe’s popular Creative Cloud service. Enjoy all of your photos on the big screen with Lightroom for the Apple TV. Subscribers can easily view all of their images along with specific Collections synced from the Creative Cloud. Along with a slideshow feature, you can zoom in 200 percent on each image to view smaller details. All images are available with the latest edits. 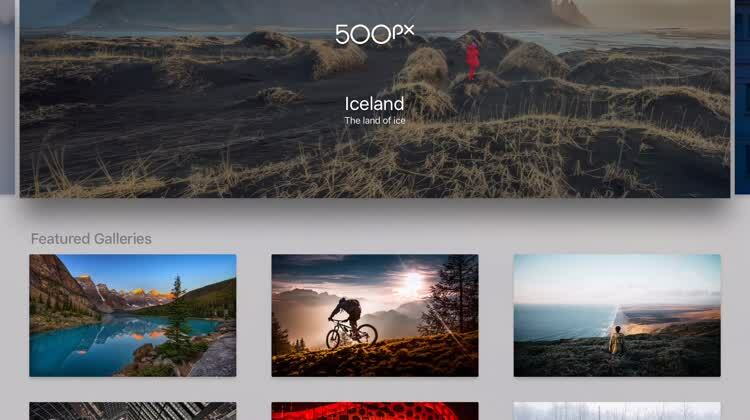 While Apple’s iCloud Photo Library is also available on the Apple TV, Creative Cloud is the service of choice for many professional photographers. And the ability to showcase images on a big screen adds another big subscriber benefit. Store and edit images using the Creative Cloud Service. Looking for a more professional-oriented photography suite. Want to display images on the big screen. You don’t use the Adobe Creative Cloud to edit or store images. 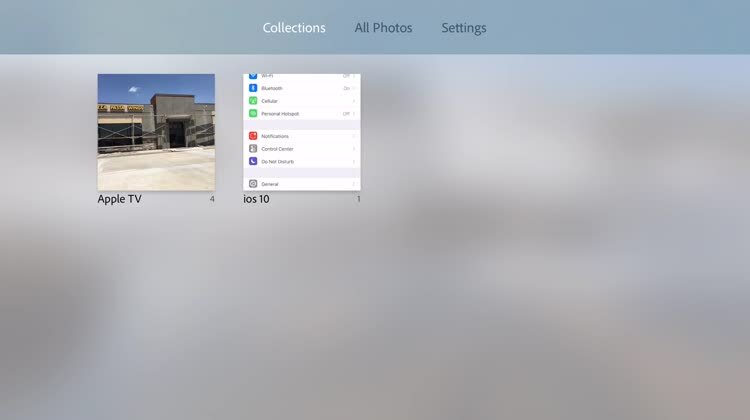 You already use Apple’s iCloud Photo Library. 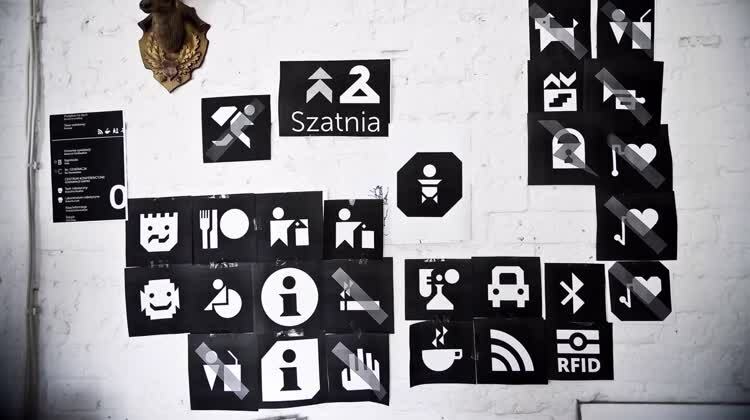 For those who enjoy slide shows from various design industries. Behance comes from the Adobe family of apps and has a large variety of image types that range from advertising and architecture to photography and typography. The images are displayed beautifully in a continuous slideshow. 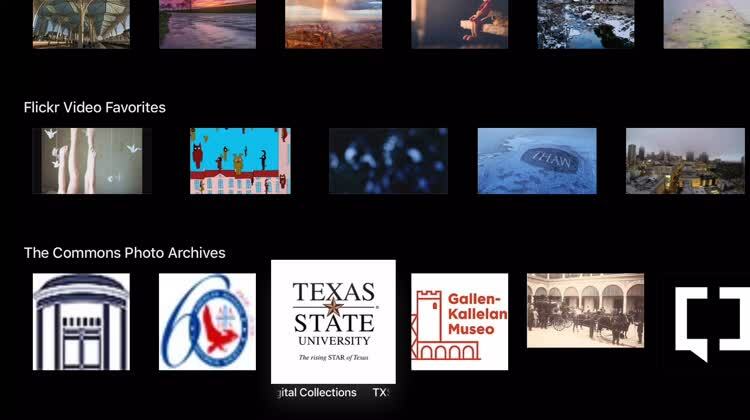 You can adjust the settings for each slideshow, learn more about the artist or image with a click, and quickly set the scene for your home or business. Behance offers a nice array of images for both your home and your business. The endless slide shows provide the perfect setting with photos, illustrations, and designs to match. For those who enjoy beautiful photos with a unique moving effect. When you want moving photos on your Apple TV, there’s nothing better than Flixel TV. 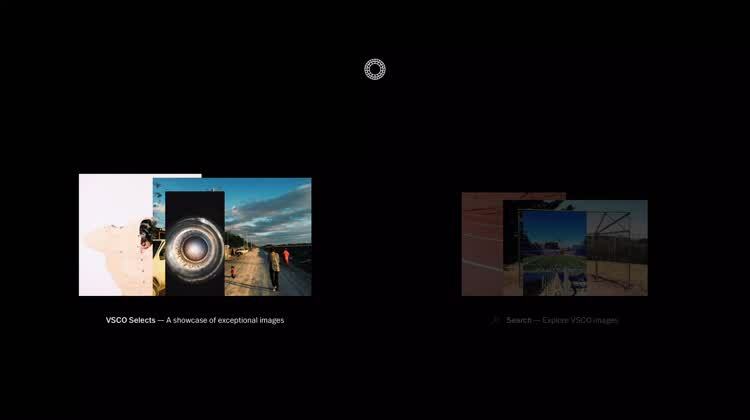 Instead of showing off a full video or a still photograph, Flixel gives you cinemagraphs, which are photographs with a minor and repeated movement to create the illusion of a moving photograph, similar to an animated GIF, if you will. Flixel TV has a ton of different ones to choose from in the gallery, ranging from nature to space to sports and more. If you’re interested in learning how to make your own cinemagraphs, there is a Learning Lab that shows you all you need to know. Make your own and then upload it to show off for others. Why view static images on your Apple TV, when you can see stunning photos with movement? Flixel TV provides wonderful cinemagraphs for a fabulous effect. For those who enjoy an easy-to-use app with a lovely photo display of the Earth. 500px lets you explore and discover amazing photographs from the community in continuous slideshows. From Fall in Japan to Lost in Wilderness, you will enjoy these stunning images that are captured and shared by others. The featured galleries also include relaxing Zen scenes and fascinating Urban Patterns, both of which bring a uniqueness to the photos you can display on your television screen. 500px lets you sit back and relax with stunning, captivating, and striking photos from around the world. Just choose a selection from the many gallery options and enjoy. For those who like to view trending photos over nature scenes. The Getty Images app lets you check out a wide range of images, from nature landscapes to rainy days to the rich and famous and even the cute and cuddly. 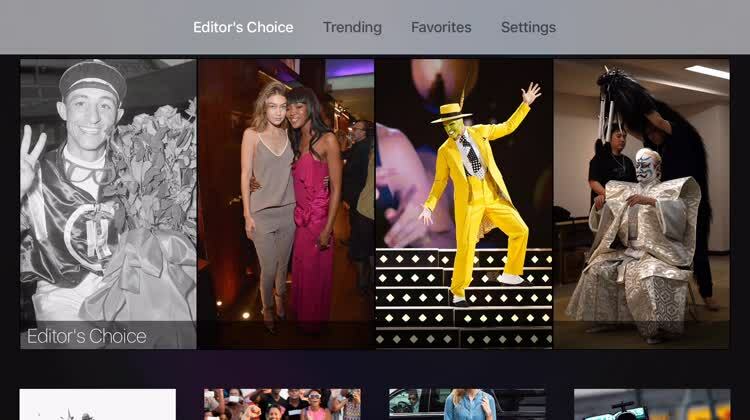 The Editors Choice section has some great photographs that will surely turn heads, or you can check out what’s trending too. Save Favorites easily to share with others later. Getty Images is a great way to view the world right from the comfort of your home. When you are ready to move away from the same old types of ordinary photos, Getty Images gives you unique photos of people, places, and things from all walks of life. For those who like a variety of photos and videos displayed on Apple TV. With Flickr on Apple TV, you can check out photos and videos from the community, which are all categorized by type. The app provides a handy search feature for when you want to view something specific, and you can connect your Flickr account to see your own photos too. Pictures can be viewed as slideshows with adjustable settings or used as basic screensavers. From hilarious animal photo bombs to majestic nature scenes, Flickr has a wonderful collection. From lighthearted and fun to stunning and amazing, you can enjoy photos and videos from Flickr on your Apple TV. View those from the community, or your own, as a seamless slideshow or stunning screensaver. For those who like viewing static images in a slide show. With VSCO you can put a continuous collage slide show on your Apple TV with amazing pictures from all around the globe. The photos come from a variety of categories and are assembled nicely for a gorgeous background display. If you are interested in specific images, you can search by keyword. No matter what you’re looking for, VSCO will have you covered. For a smooth and easy way to dress up your Apple TV, VSCO lets you see awesome photos for a cool background display. For those who like high-quality images. 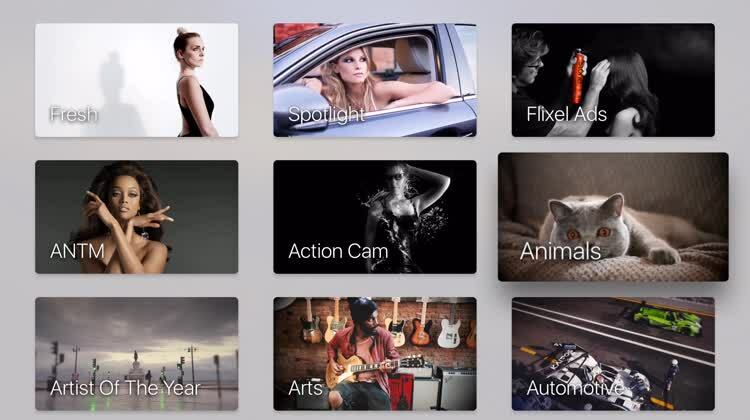 Splash – Photography has an array of high-resolution photos for your Apple TV viewing pleasure. You can choose from nature, people, architecture, food, technology, and more. If you can’t decide, just let Splash pick for you with random photo slideshows. 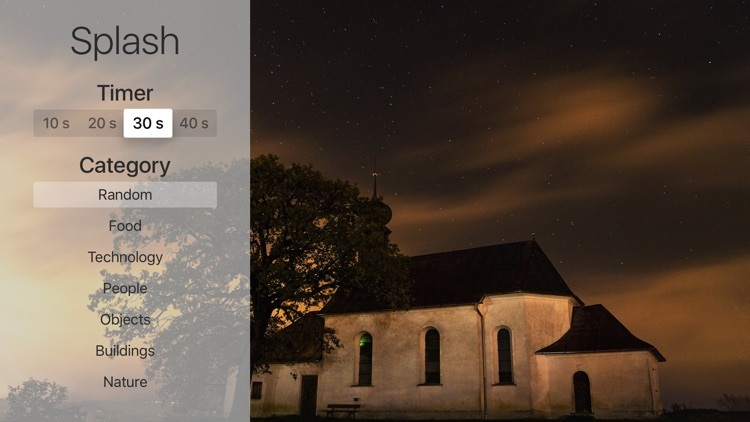 You can adjust the timer for images and create a beautiful atmosphere right in your living room.